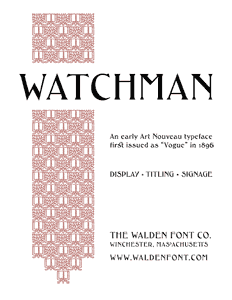 WF Watchman WF View Character Set Try it! 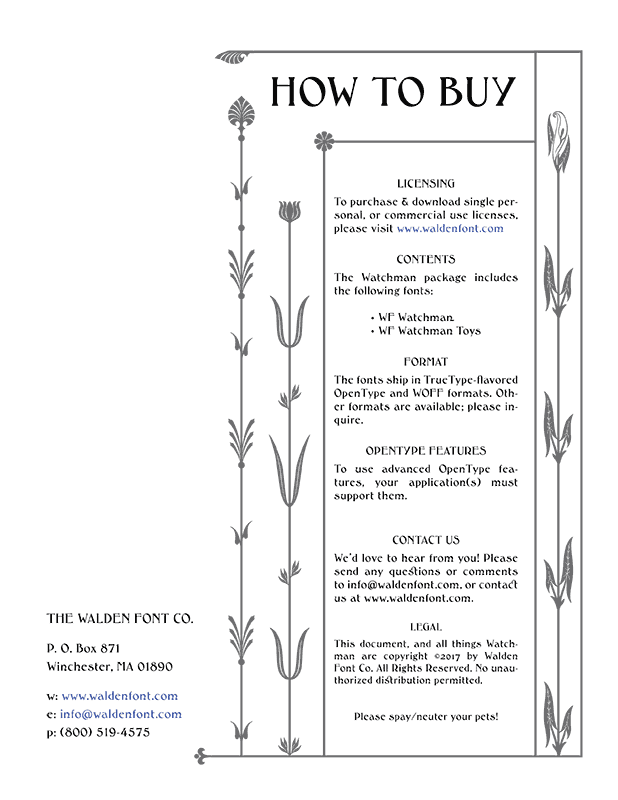 WF Watchman Toys WF View Character Set Try it! 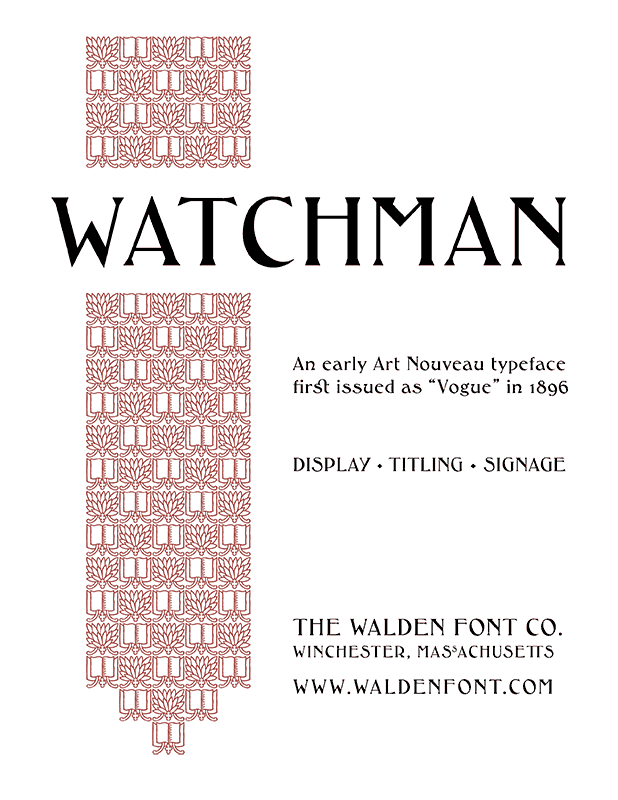 WF Watchman is a modern revival of an early Art Nouveau typeface first issued as "Vogue" in 1896. 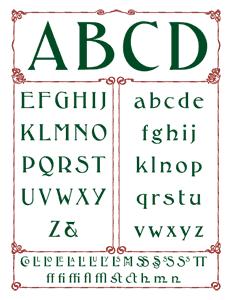 It is perfect for titling, display, or signage uses. 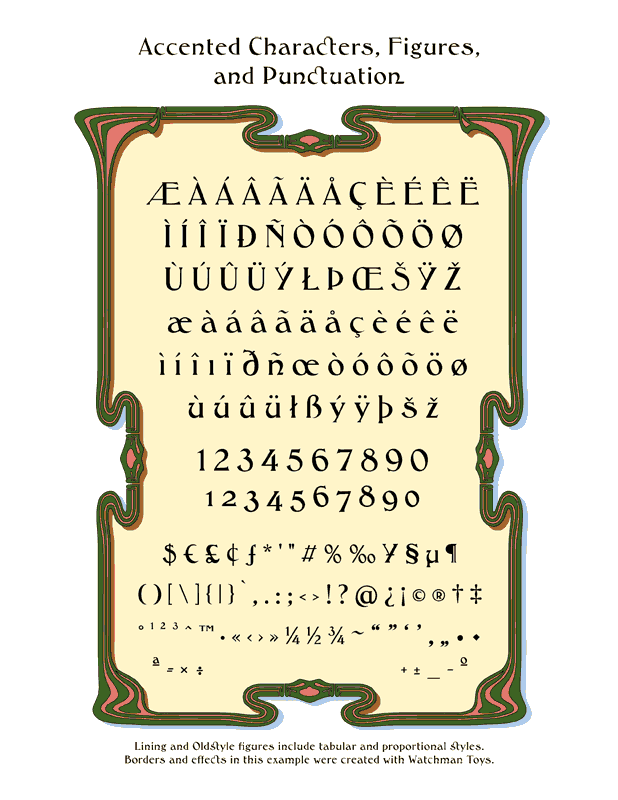 Refined, but still a bit playful. 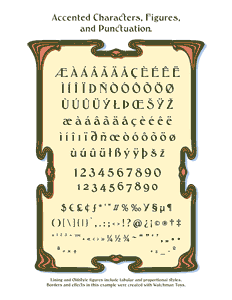 It features a complete set of completely redrawn characters. 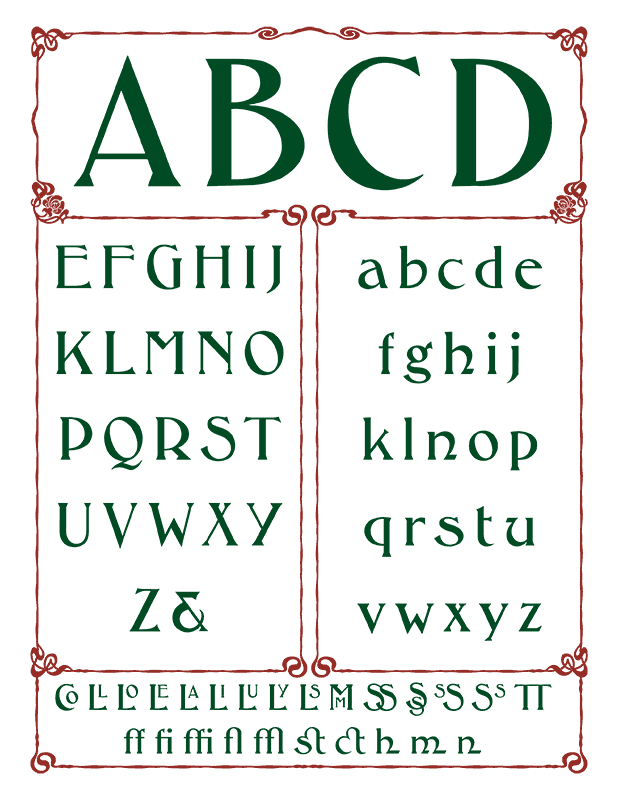 I've also added numerous unconventional ligatures. 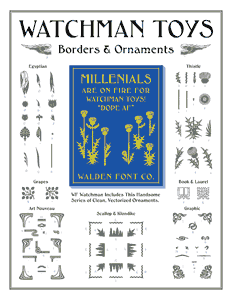 Included with Watchman is the Watchman Toys font, a collection of matching Art Nouveau borders and ornaments. 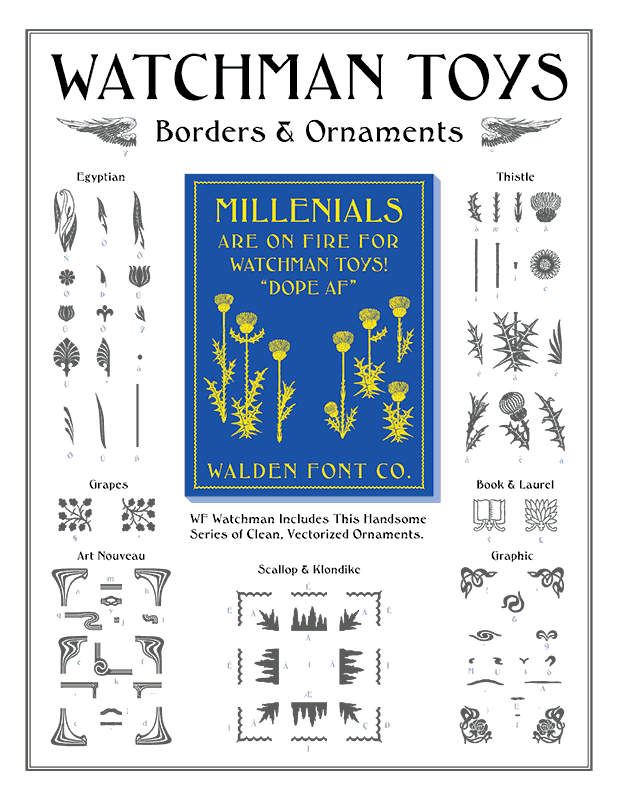 Watchman and Watchman Toys are available in TrueType-flavored OpenType and WOFF formats, suitable for all major operating systems, and for web use. 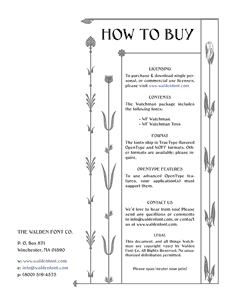 Please inquire about other formats.